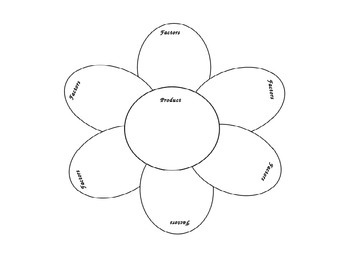 This is a factor flower template I made for my students to practice those products that have multiple factors (12, 20, 24, 36, etc) and to deepen their understanding of multiple factors. I assigned them a product based on ability level then they had to use manipulatives to build their arrays and determind their sets of factors. For example, if they are using 12, both factors they find on an array would to into one petal (3,4). All you need to do is have them complete the flower, color, cut and add a construction paper stem and leaves!